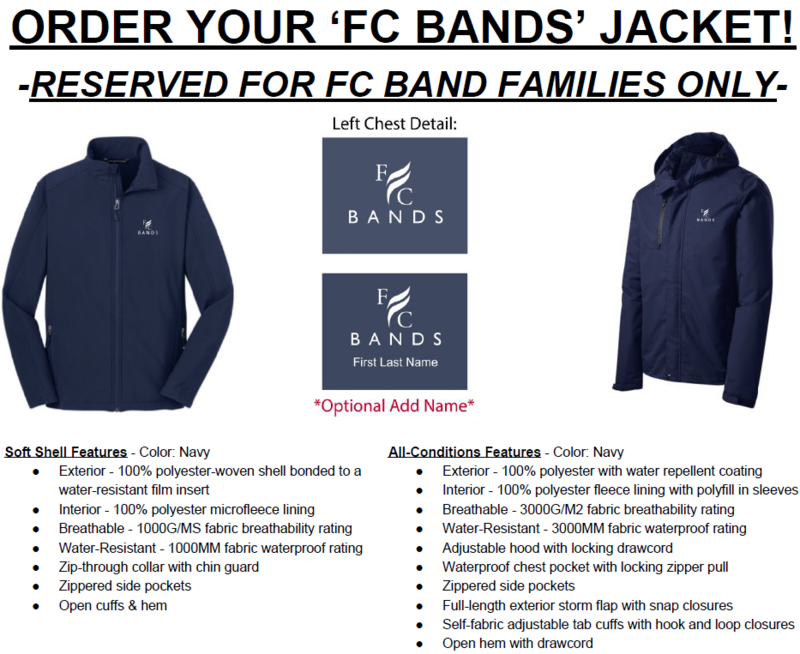 Order Your "FC Bands" Jacket for Students and Parents! We are starting a new tradition for the FC Bands! 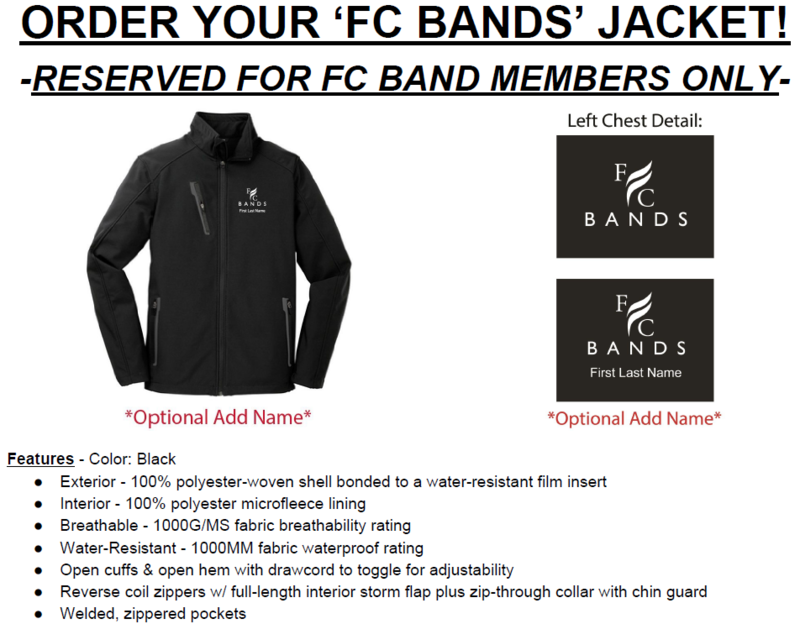 Students and parents can now purchase an "FC Bands" jacket to be proudly worn at FC Band events, at school, in the community, on vacations, and anywhere you need a jacket! Wear this one in the spring, summer, and fall and your school letter jacket in the winter! ​The student jacket is lightweight and water-resistant. Parents have a light jacket option and a waterproof, "all-conditions" jacket option...get one or both! Show your pride in FC and show that you're part of the band! GO FLASHES! Deposit payment with order form in the white box outside the band office. Orders are due Friday, Feb 1. This is for parents, siblings, grandparents, aunts, uncles, cousins and neighbors.